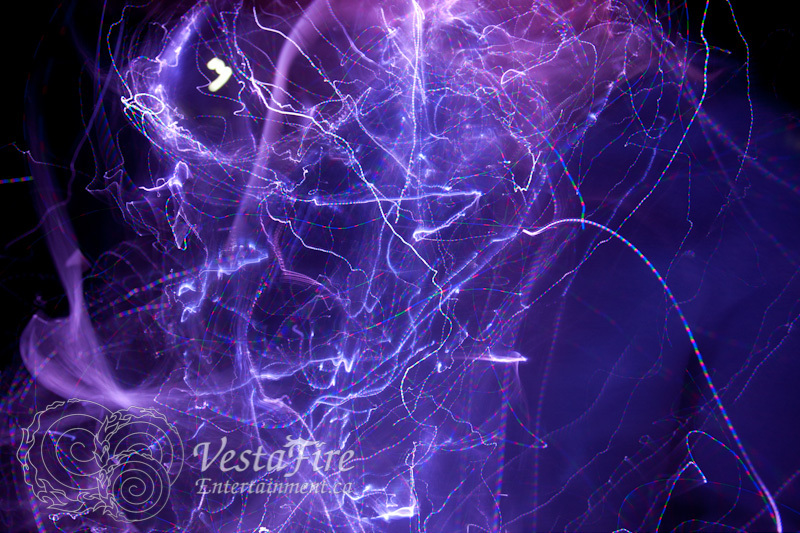 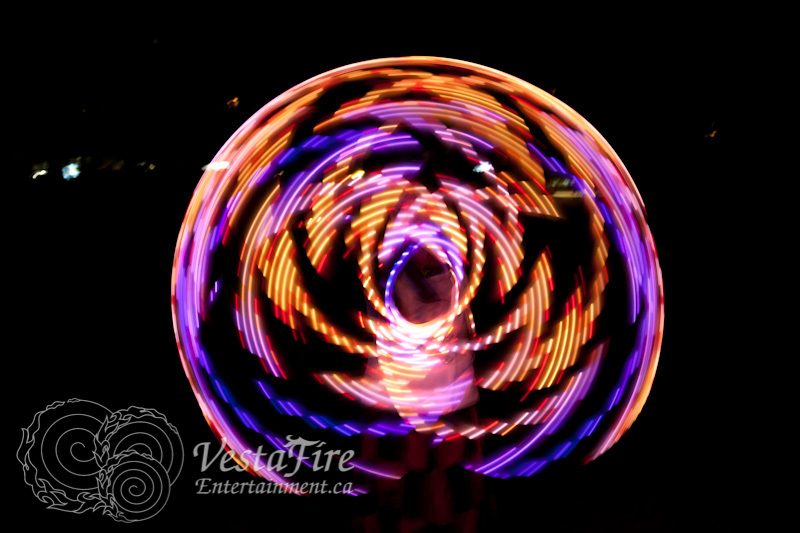 While we enjoy performing with fire, LED lit props are a great alternative that can be just as spectacular! 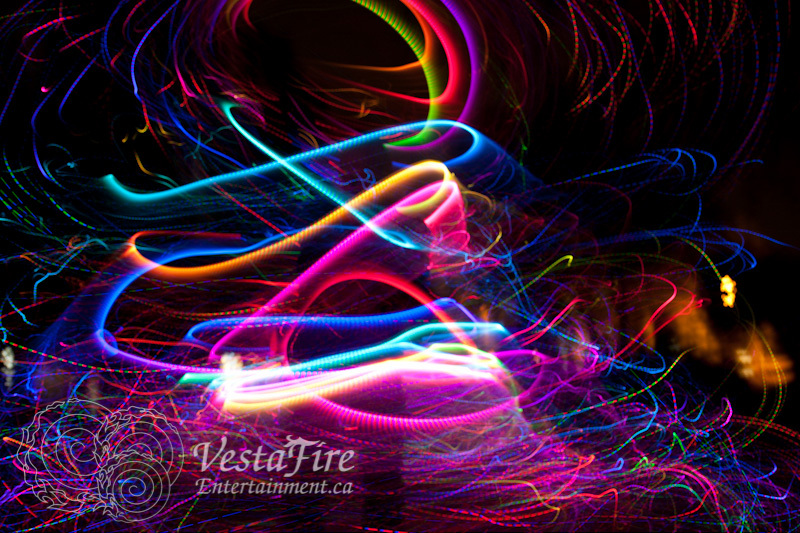 VestaFire is excited to be partnering with Hoopdaddy to beta test some BRAND NEW hoop technology. 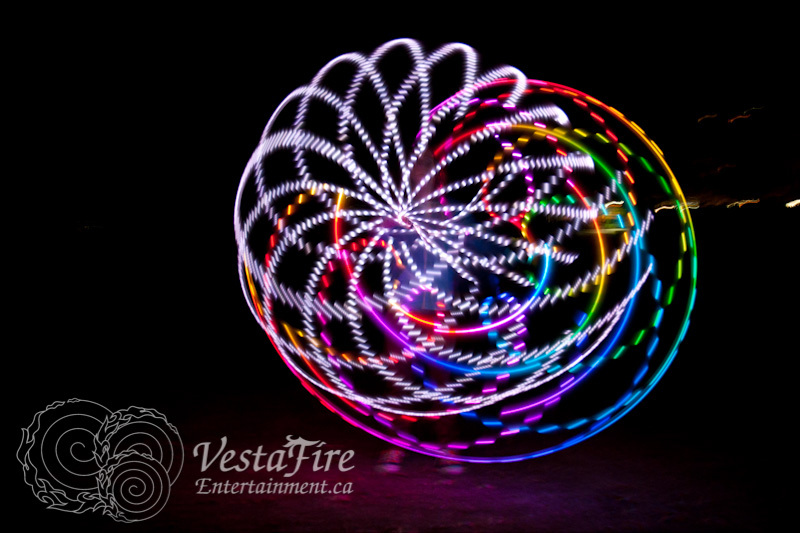 The Phoenix is fully programmable, remote controlled with Bluetooth technology. 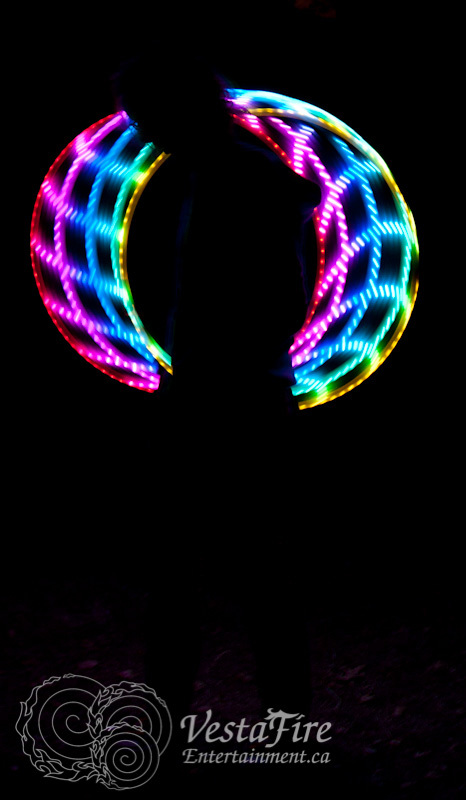 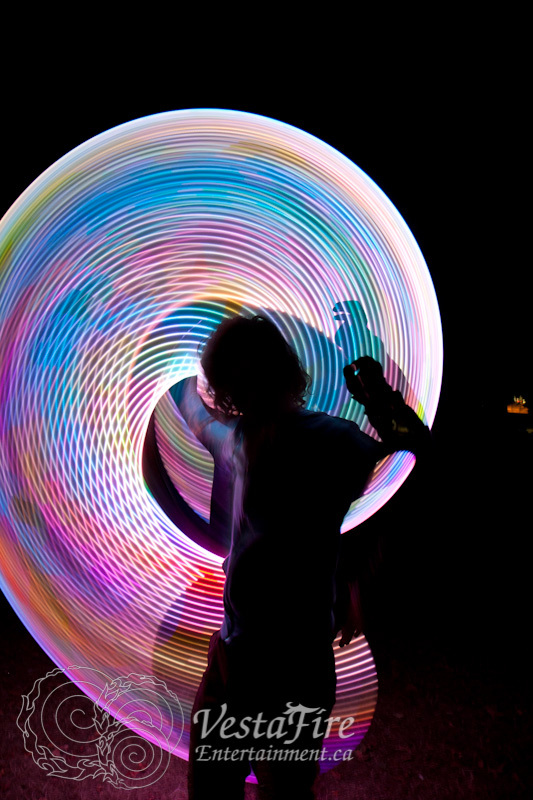 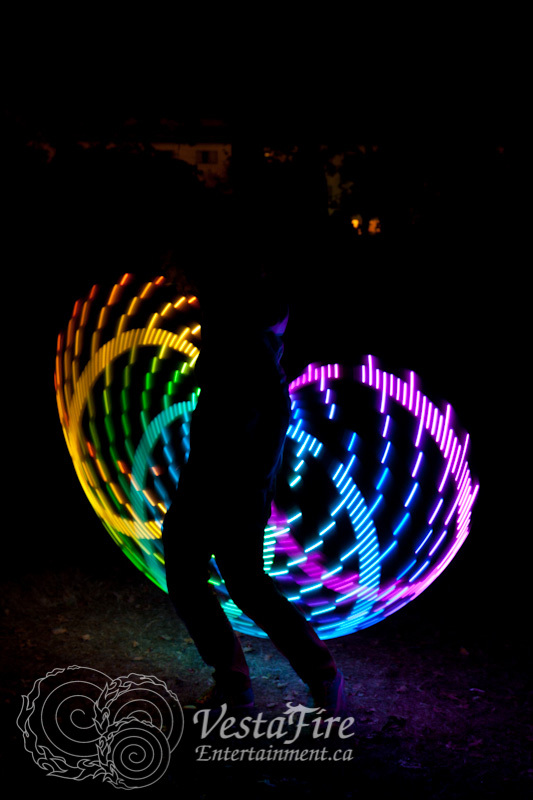 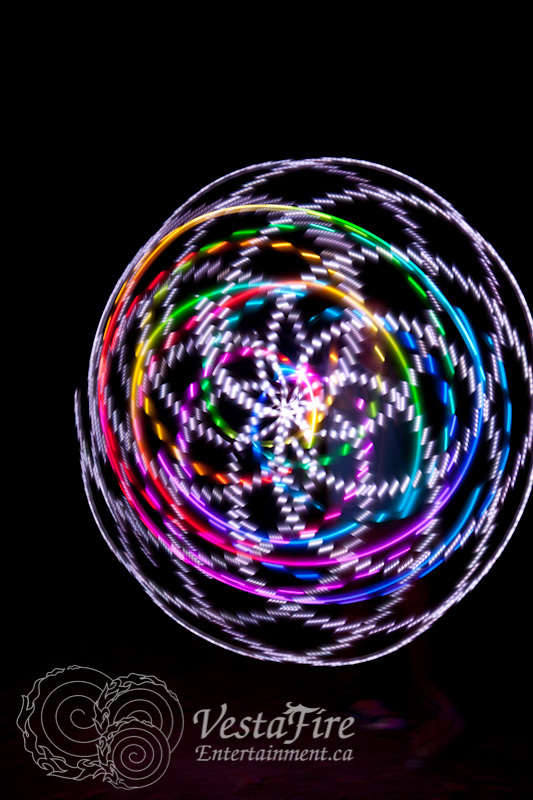 We are testing out two 31″ poly pro hoops- and they are beautiful!